A newly released report by the U.S. Department of Justice, based on a survey of federal and state prison inmates, shows that very few of guns used in the commission of crimes were purchased by the perpetrator legally. 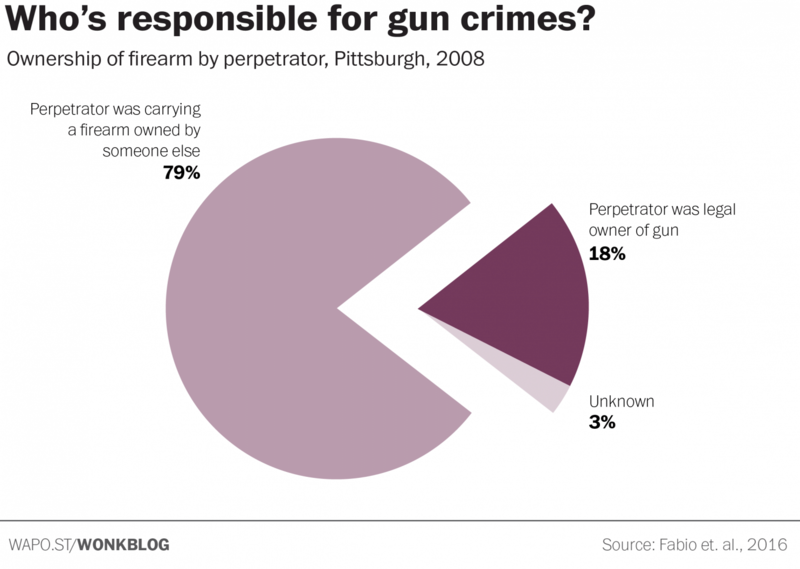 Only 10 percent of guns used in crimes were purchased at retail sources by the perpetrator. 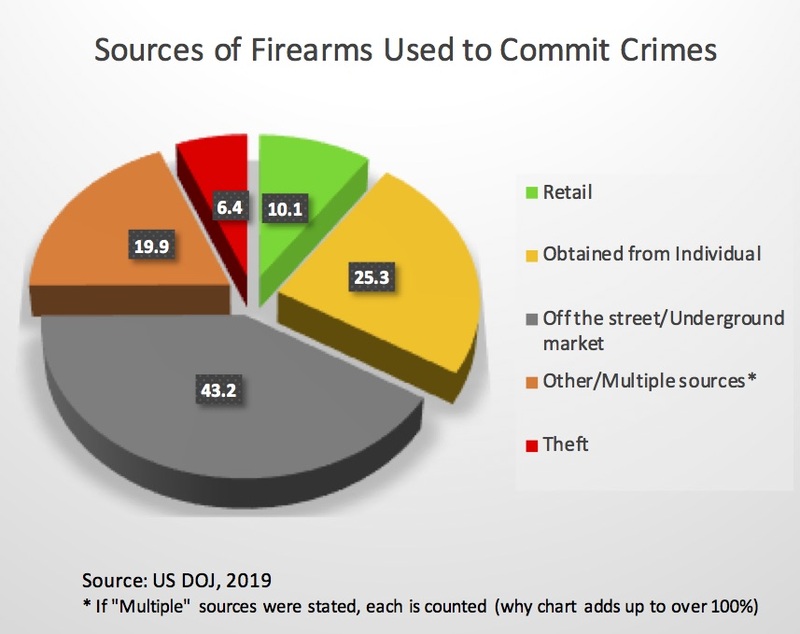 That breaks down into 7.5 percent from gun shops, 1.6 percent from pawn shops, 0.4 percent from flea markets, and 0.8 percent from gun shows. The other 90 percent were either stolen, obtained on the black market, purchased for the person by someone else, obtained from a friend or family member, or gotten some other way.